1. If you will excuse me, I am going to hit the sack. I have to get up early tomorrow morning. 2. Time to hit the sack, kids. You have school tomorrow. 3. I was so tired. I had hardly hit the sack before I was asleep. 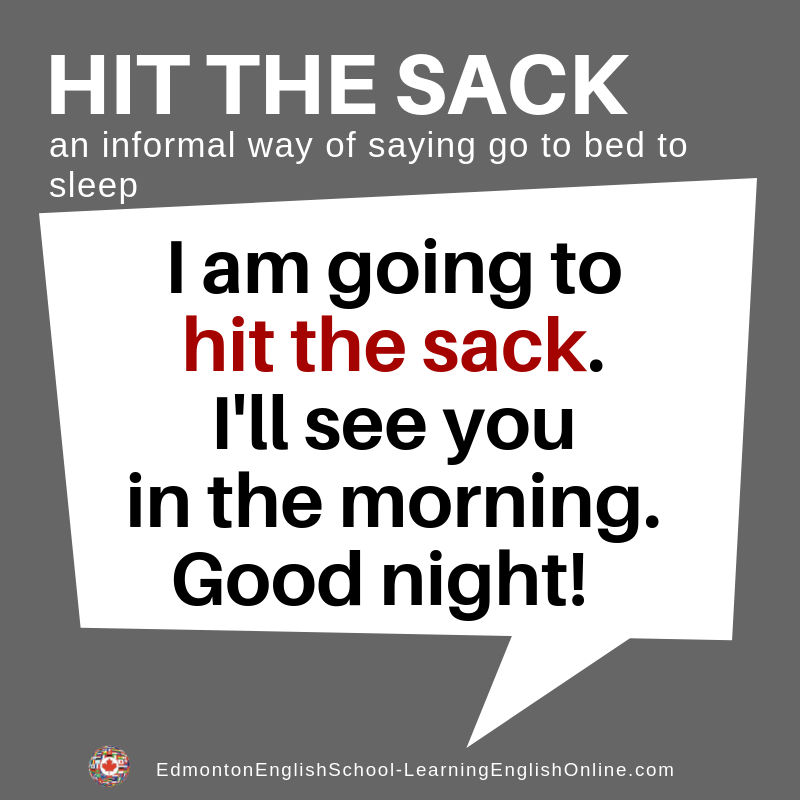 Note: This has the same meaning as the idiom HIT THE HAY. It comes from the time when beds were made of cloth bags filled with hay.